After discovering the opening of this already quite popular Hong Kong style restaurant in another part of town, we have since gone back there no less than five times within the span of one month. It is puzzling how so many people already know about this third location when the place was only so recently opened. There were usually quite a bit of people waiting even though the actual wait time had not been very long – tonight was the only time that we did not have to wait to get seated. The waiters and waitresses were all very efficient and some were especially friendly toward us. 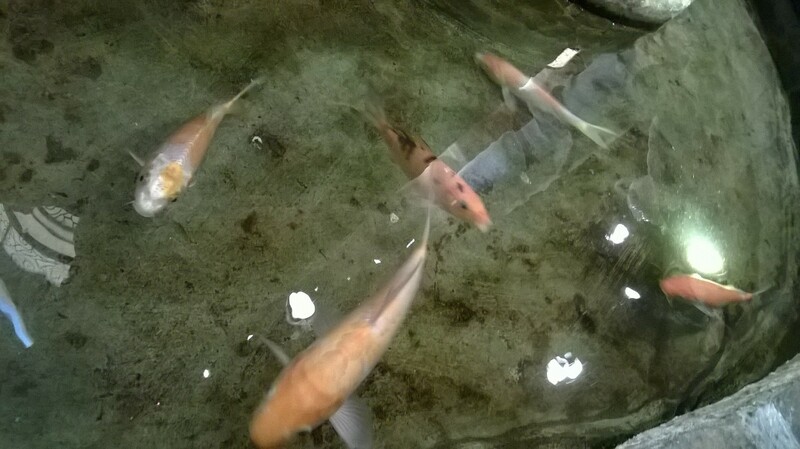 I was told that a few came from a restaurant that I had liked, and that the place has been closed recently. The inside seating are comfortable though some of the tables are a bit closed to each other. 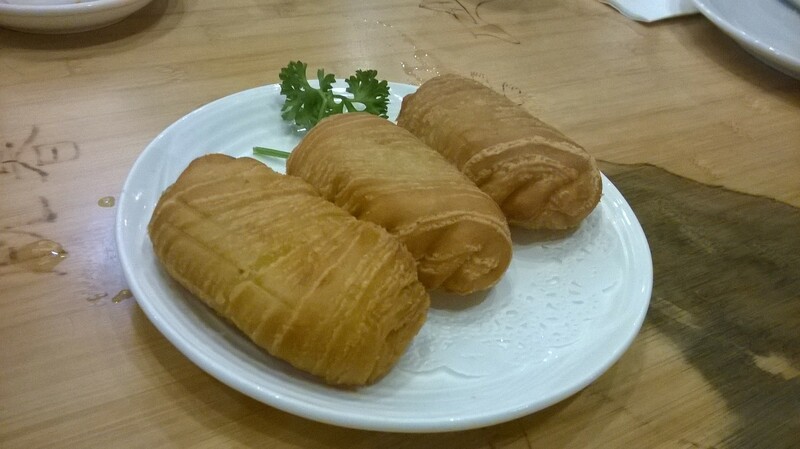 This particular branch offers some Chef’s Specialty dishes that are not in the other locations. 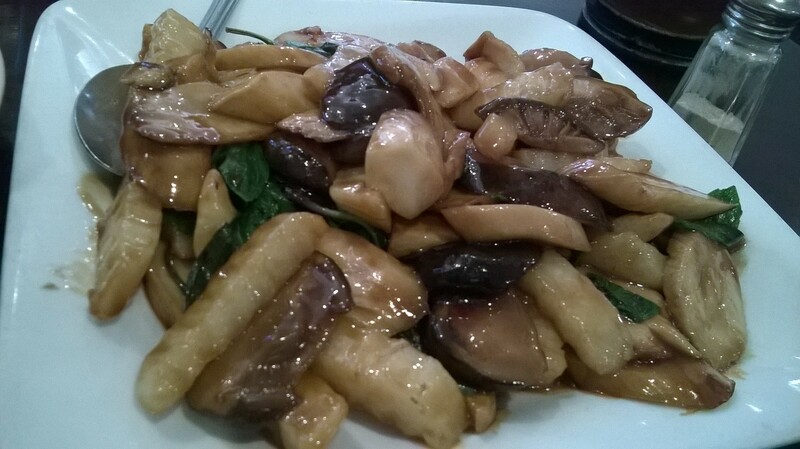 The one dish that attracted me originally was the Lobster stirred fry with rice cake. However, they did not have it the first time, nor the second time we were there. 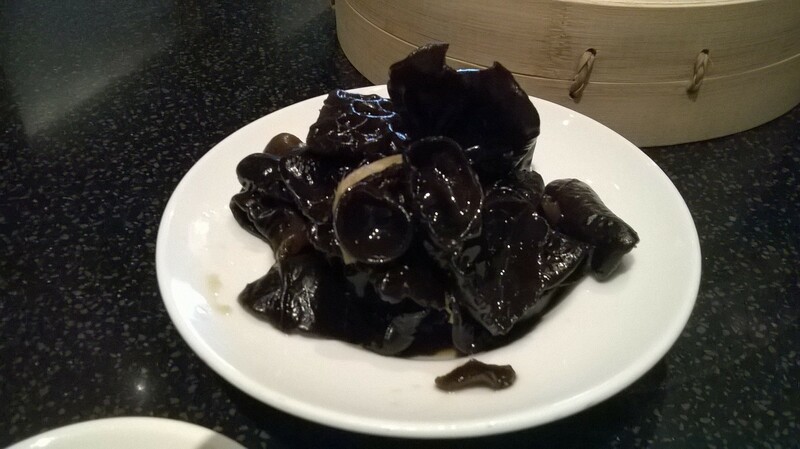 Instead, the waitress suggested the Sea Cucumbers with Mushrooms which turned out to be the best dish so far. 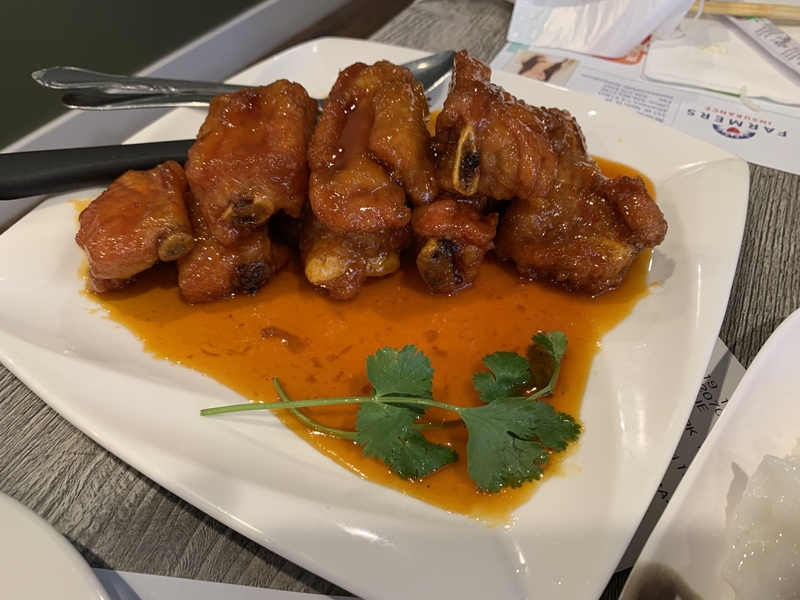 The Pork Ribs was excellent too, with a tangy glaze that was absolutely delicious. 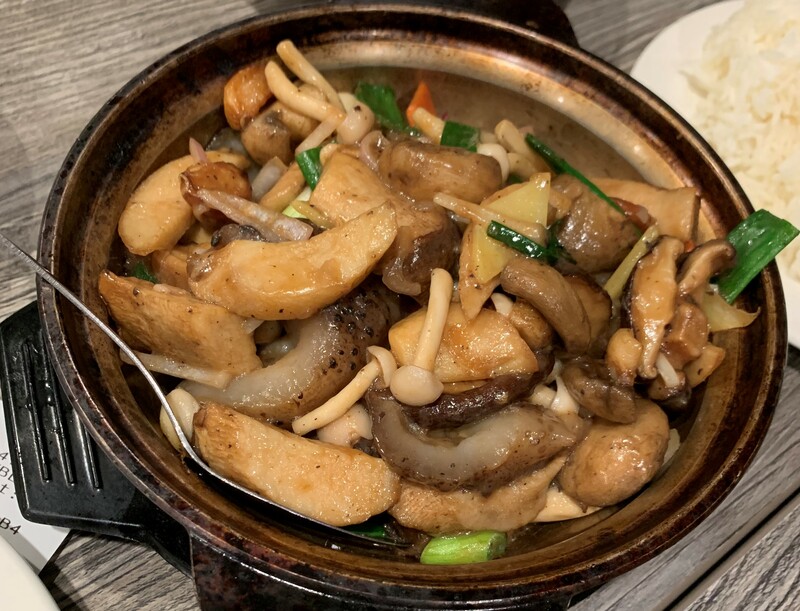 There was a Stir Fry Milk with Seafood dish that was decent, and the vegetables in the Bok Choy with Mushroom and Dried Beancurd was fresh and crunchy. As it turned out, my most anticipated dish – Lobster with rice cake, was probably our least favorite due to the overly saltiness of the dish. 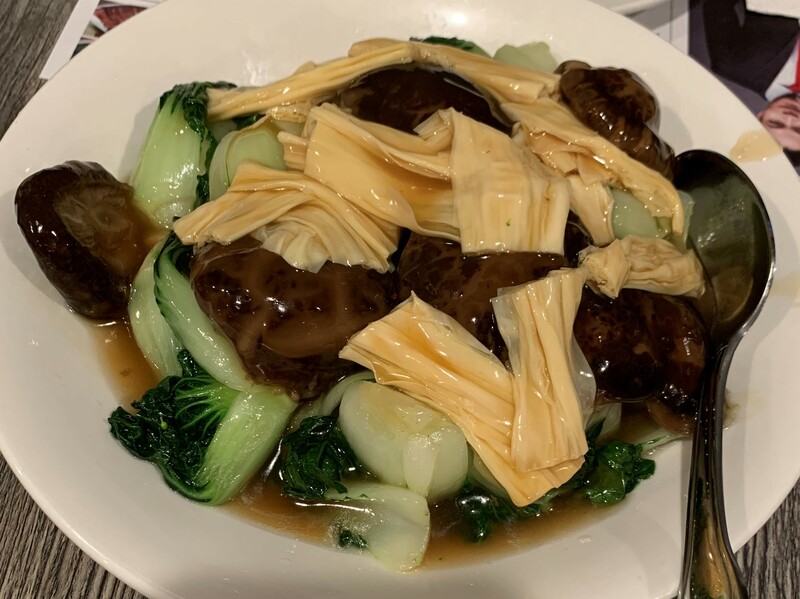 So when we were there last week for the fourth time, we decided on the two dishes that we enjoyed the most – the sea cucumbers and the pork ribs, and it was not difficult at all cleaning off everthing on those two plates. “That little restaurant” was what I originally thought is the English translation of the name of this fairly new Peking restaurant in Temple City. 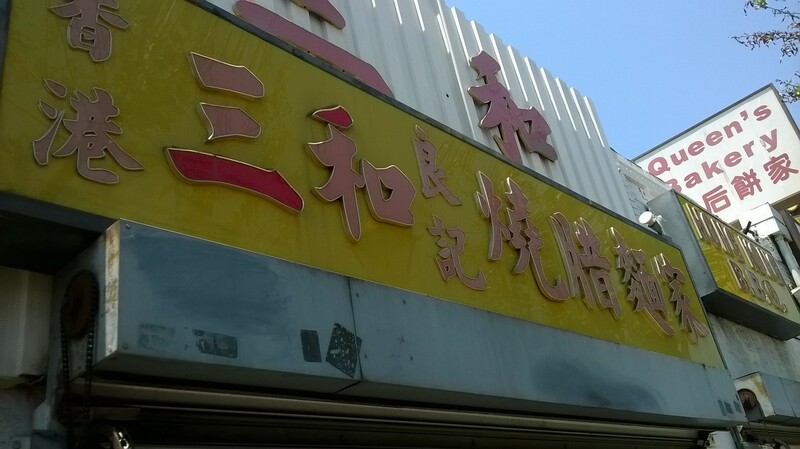 However, I read somewhere that “Na” is actually a Manchu surname, so therefore, literally, the name translates to “Na’s little restaurant”. Enough about the name. I stumbled across this place after finishing dessert at “Meet Fresh”, which is just a few doors down. The outside does not reflect what one would expect to find inside. It is actually quite a large restaurant. 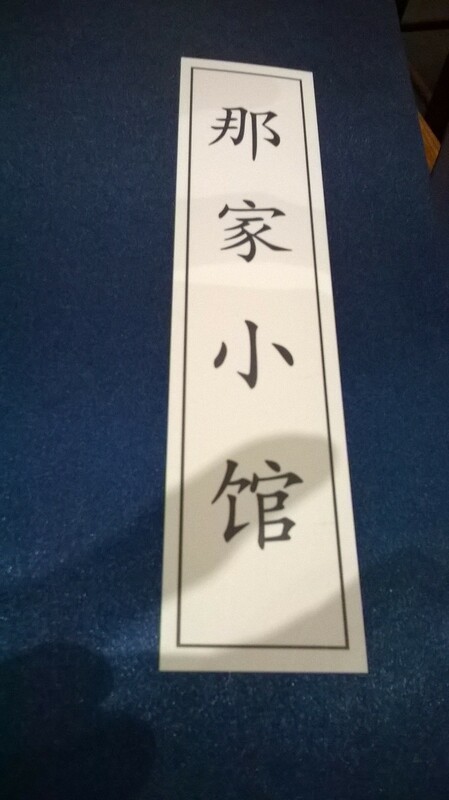 The decor is very elegant, since the cuisine is focusing on Chinese “Imperial court” cuisine. I was told that I would need to make a reservation even for lunch. I did some research at home regarding the menu and its prices. The price did not seem too extravagant, so we made a reservation for lunch on a weekday. I arrived when the restaurant just opened, so I was pretty much the only one there. So I had a chance to inquire about the food with the waitress. 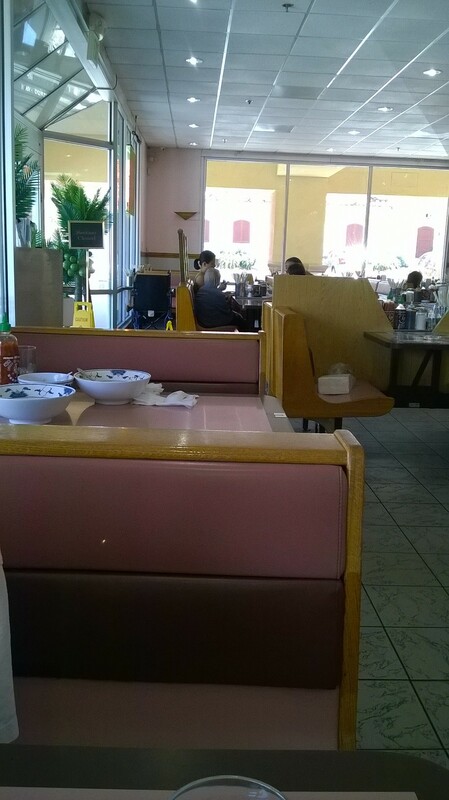 The main dining room was open and comfortable, while the decor is classy and not overly opulent. 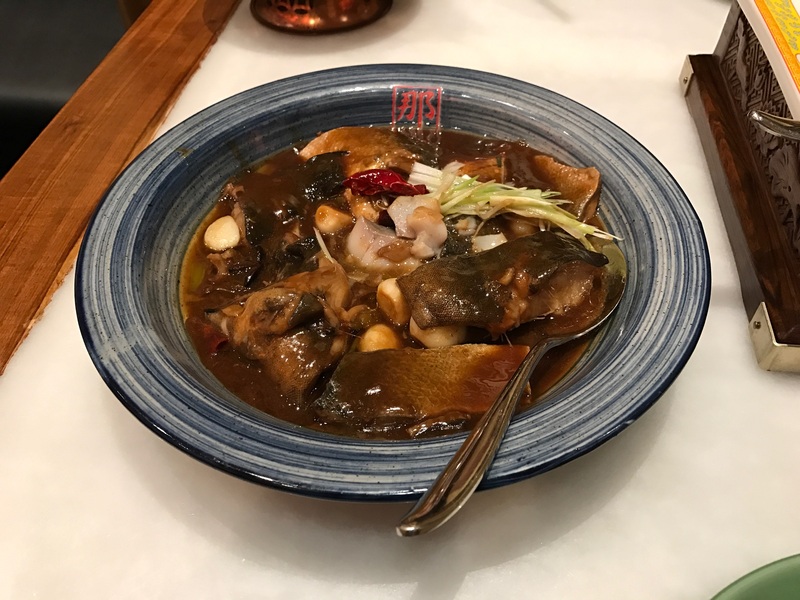 We ordered the highly recommended “Crispy Shrimp”, the “Stewed Fish Combo”, “Traditional Beijing Noodle”, the “Vegetable in the Box”, “Dry Cooked Stuffed Mushroom”, and “Stuffed Lotus Root”. 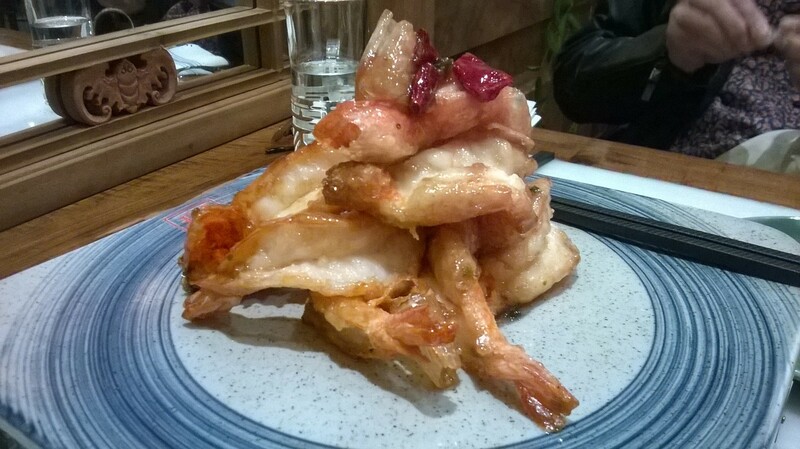 Originally, I did not want to order the shrimp, but it turned out that the shrimp dish was the best overall dish. 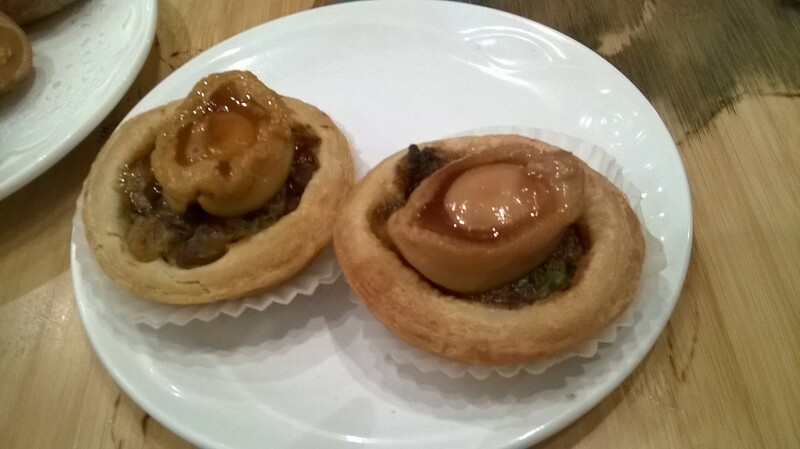 The flavor was very distinctive, and the shell was fried to perfection, and I ended up eating a lot of it. However, all the rest of the dishes did not impress me. 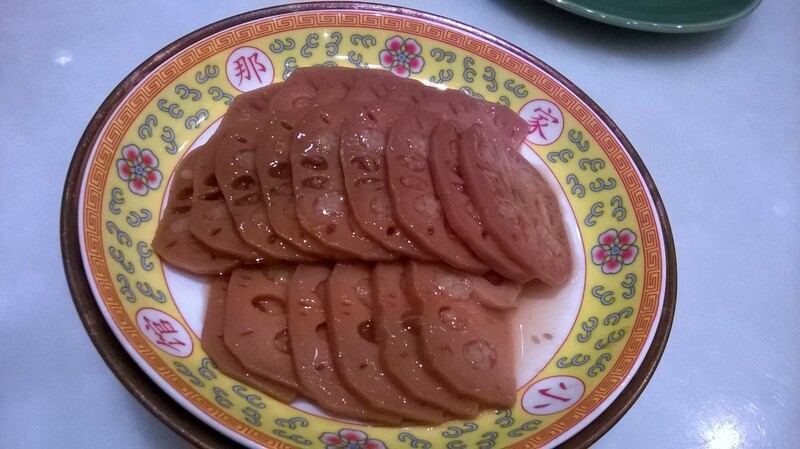 I did like the “Stuffed Lotus Root”, it is more like a dessert since it was a bit sweet. I have mixed feelings about this restaurant. 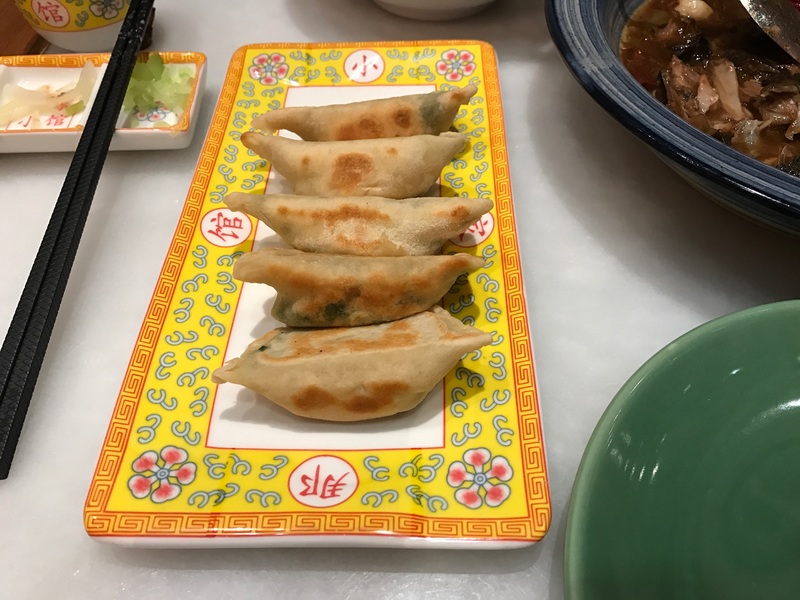 While I really enjoy the atmosphere of this place, I wish the dishes can be as good as one would expect given that it is supposed to be “Imperial Court” cuisine. 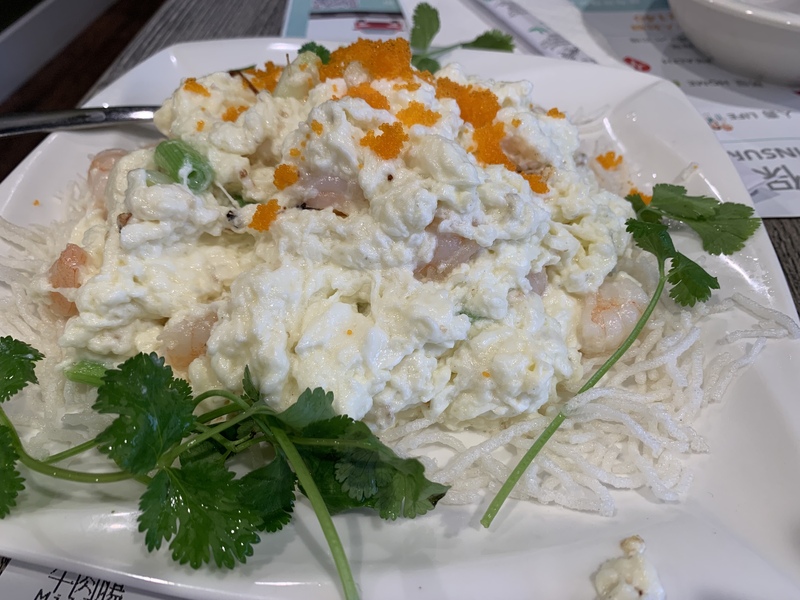 While this is not the first time I have eaten at Din Tai Fung, it is, however, at this Torrance location, that I finally gave more attention to the food. I was able to truly appreciate how well the food is being executed at this famous eatery. 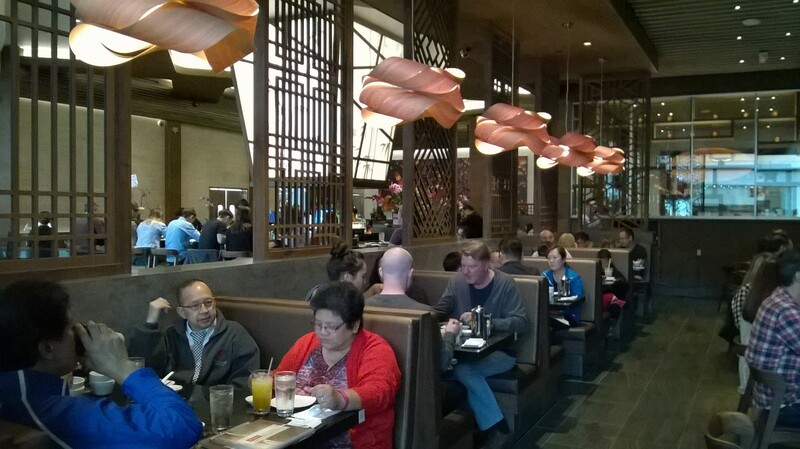 This particular Din Tai Fung has just recently opened at the Del Amo Mall in Torrance, The decor and atmosphere is outstandingly different than the one that I had been to in Arcadia. 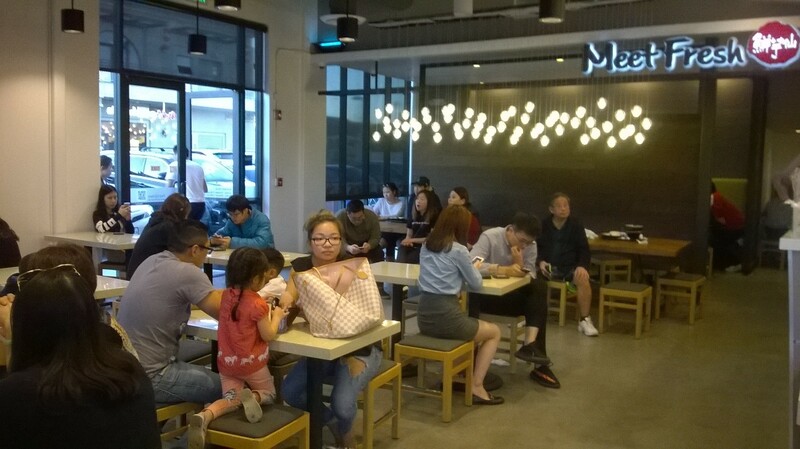 The interior is modern and airy, which is rather different than the traditional Chinese restaurant. Perhaps somehow that enabled me to appreciate the food even more. 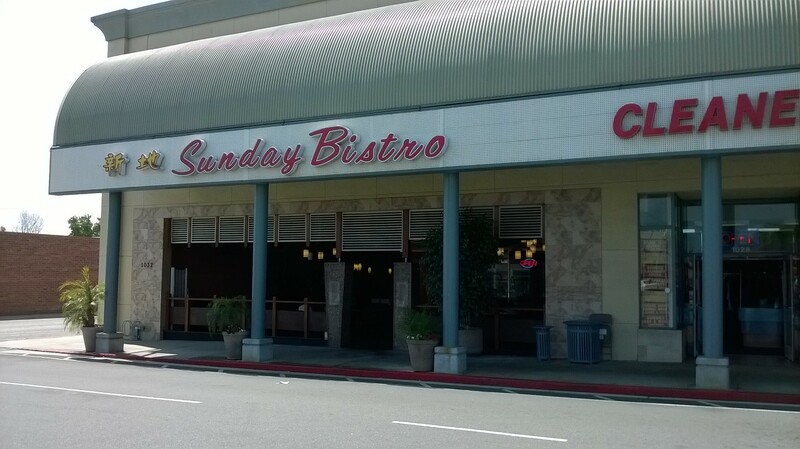 The dish that started my appreciation for this restaurant was the Sauteed String Beans with Garlic. 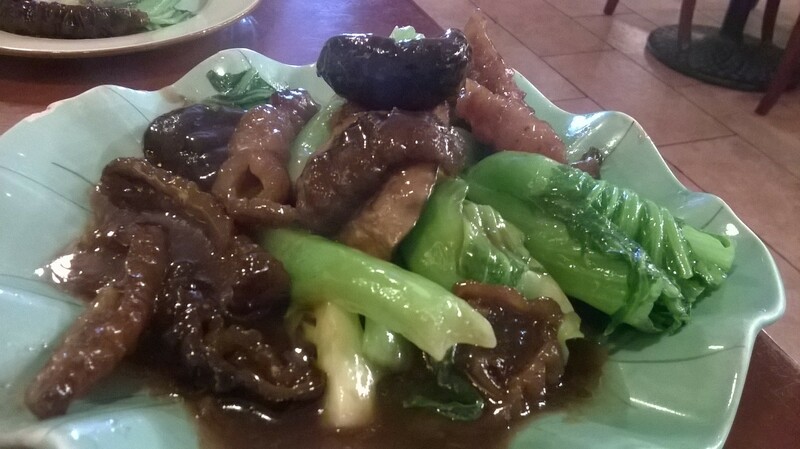 I had ordered it because they did not have the Bok Choy that I had wanted on that particular day. 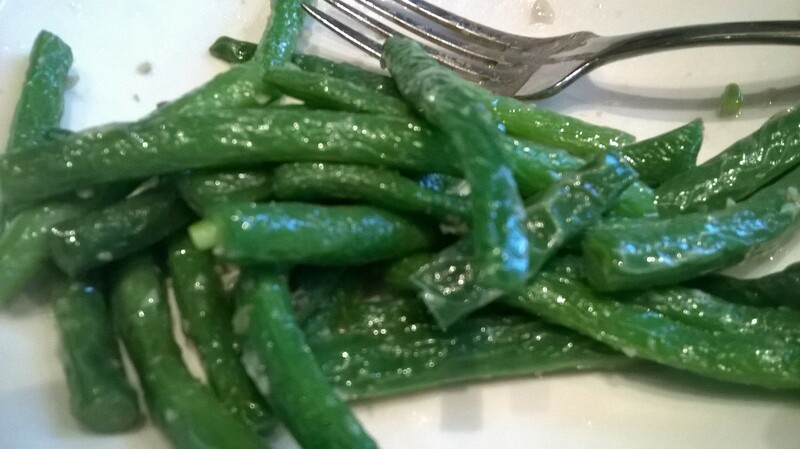 I am not a big fan of string beans, but the plate of string beans was perfection at its best. Every single strand of bean was cooked evenly and impeccably. Not one of them was charred, as it is with most of the string beans that one gets in other Chinese restaurants. Not one of them had a black spot on them. To me, that is the mark of attention to details that distinguishes itself as a great restaurant. Another detail that I noticed at this particular Din Tai Fung is that the food is not salty, as most restaurant food tends to be. To be honest, the food hinges being a tad blander than what one would expect from a restaurant. However, it is precisely because of this, that I find so appealing about this place. The chef has enough confidence, control, and belief in the freshness of his food that he does not feel it necessary to add extra seasoning. It allows people like me to feel that I am eating somewhat healthier, instead of the usual heavy tasting restaurant food. I tried the Sticky Rice & Pork Shao Mai for the first time. It was well executed and quite filling. 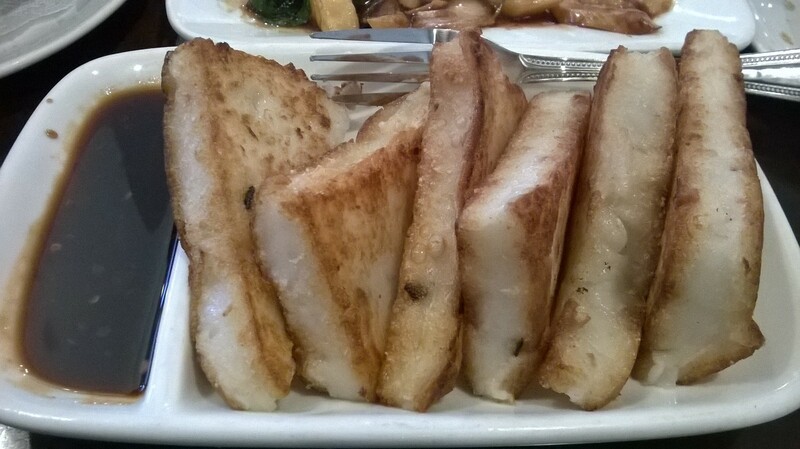 The Fish Dumpling, though good, did not have much fish taste. The Noodles with Sesame Sauce was extremely flavorful, but the serving size was rather small. 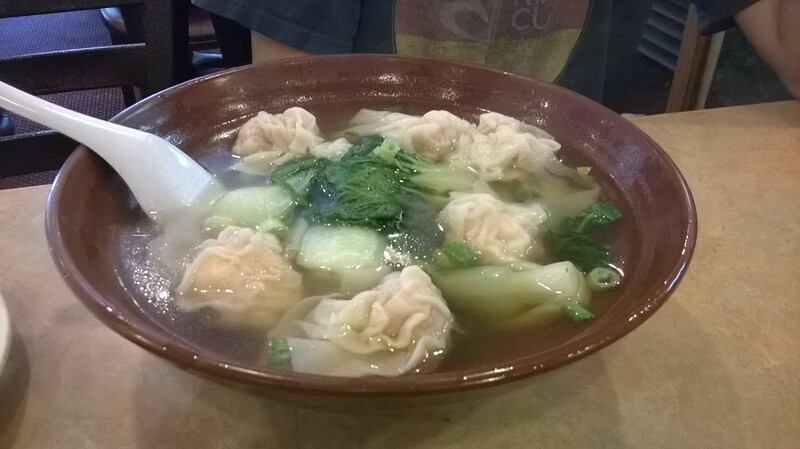 The Wonton with Spicy Sauce was quite good as well. 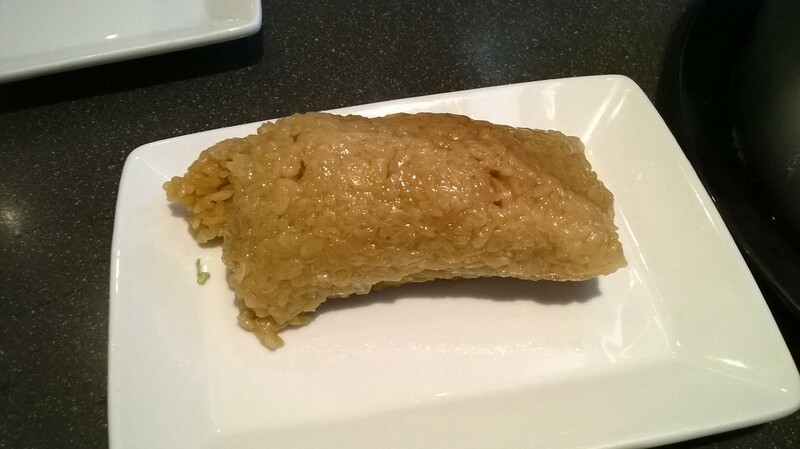 I like anything made with sticky rice, so I ordered the Eight Treasure Sticky Rice. 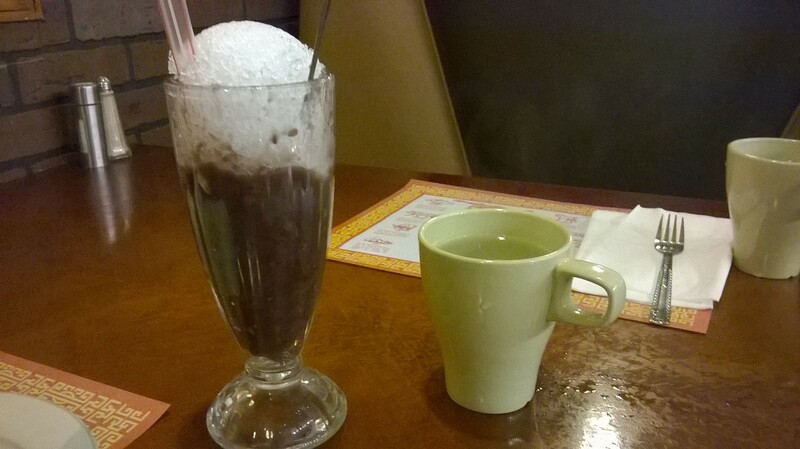 Being that my friend does not care too much for sticky rice, I ended up eating the whole dessert. Fortunately, it was not too sweet. 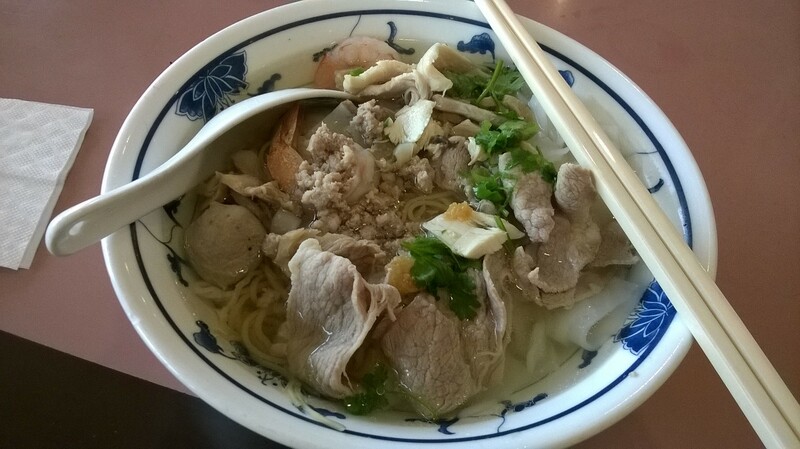 Whenever we visit families in Milpitas, my son would never fail to request to go to Luu New Tung Kee Noodle. In fact, it is probably one of only restaurant that he would ever ask for by name, and the only one that he really has a desire to eat at. 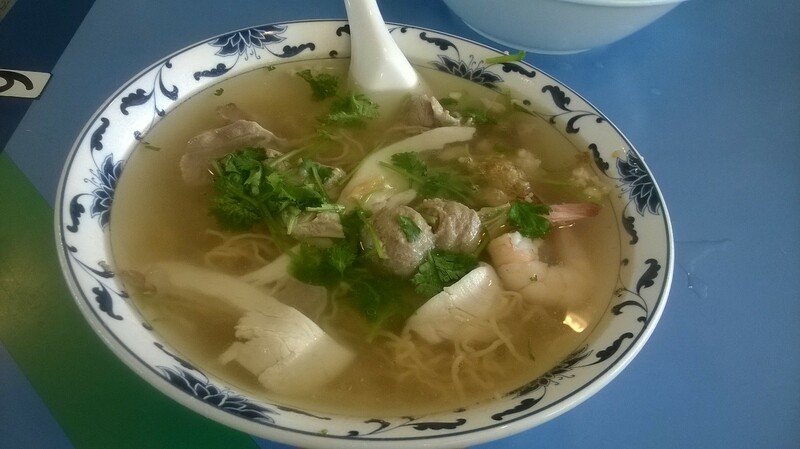 After a few years of not having been to Milpitas, he still remembered that it is #6, the combination rice stick and noodle, that he likes. After looking at the menu this time, he decided that he would like to have the #8 instead, the combination with just noodles. I chose the #6. The 2 bowls of noodles arrived in no time. 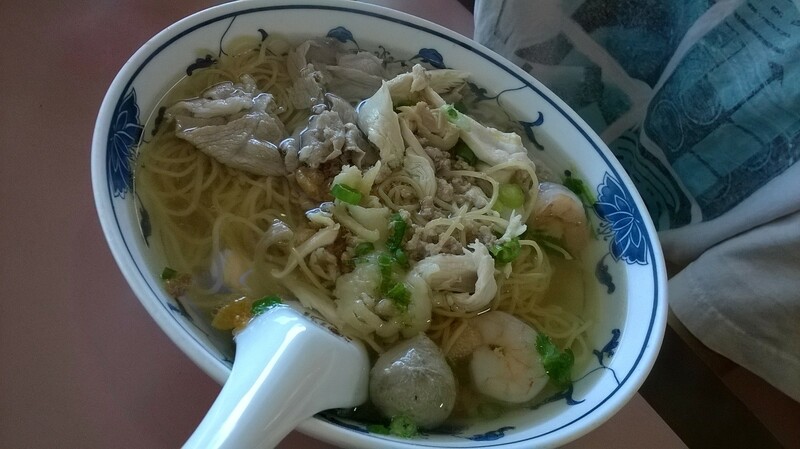 The toppings on the noodles included the freshest chicken stripes, slices of tender pork, the crunchiest prawns, and my son’s favorite beef balls. I must say that all the meat looked and tasted even better than some of the finest restaurants, and it was around $6.75 for the large, and $6.25 for the regular size. My son and I could not stop marveling at how great everything was inside the bowl. We devoured the entire bowl while praising how good they were the whole time. This was true satisfaction at its best – delicious and inexpensive. 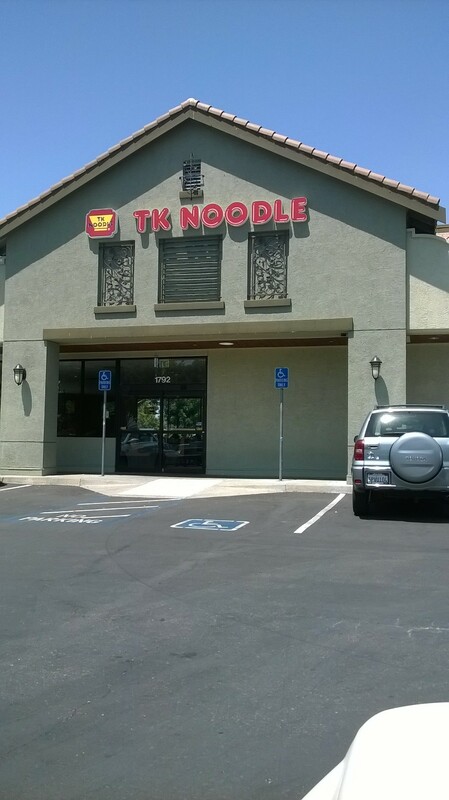 Upon telling my mom about how much we enjoyed the noodles at Tung Kee, she proceeded to tell us that there was another noodle place called TK Noodle that is much cheaper and the serving size is bigger. I remembered that we had been to TK a few years earlier. So we decided to visit TK two days later. 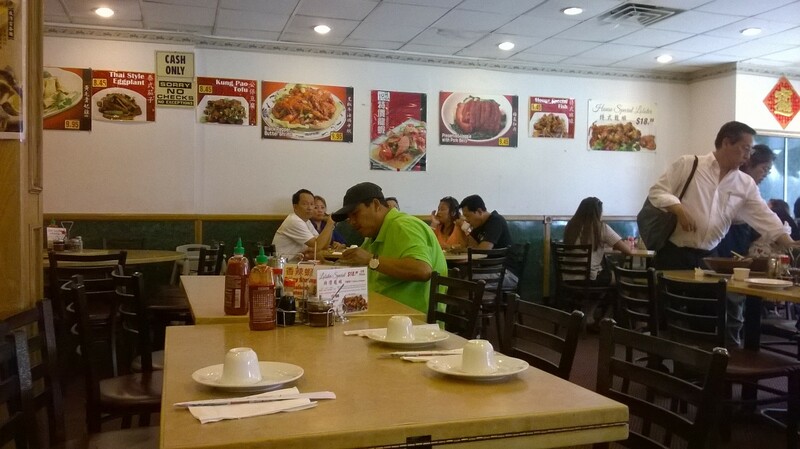 The place looked a bit dingy, but being that it is past lunch time, at least it was not crowded. 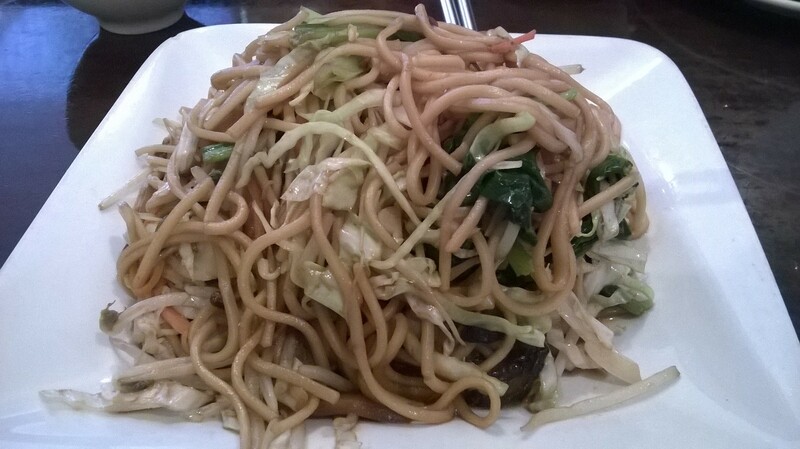 We both ordered the combination with just noodles, I think it was #8 as well in this place. 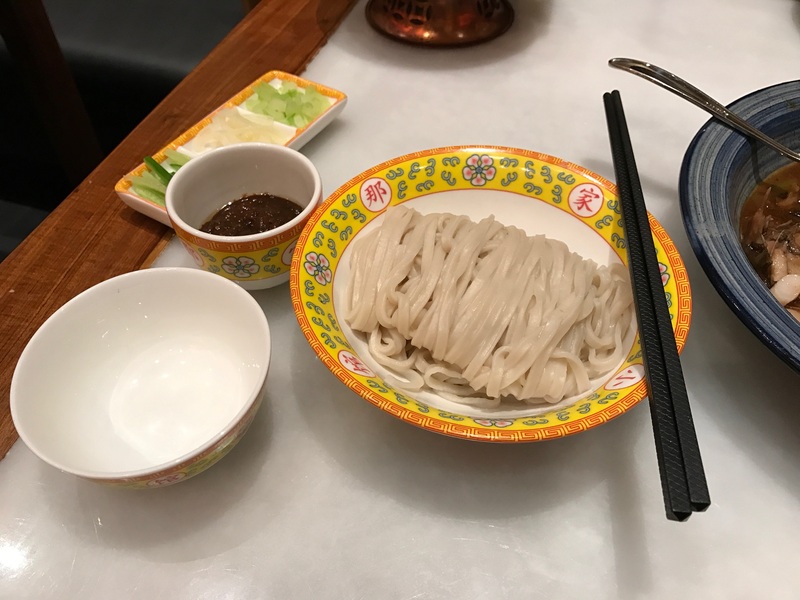 The size of the bowl was indeed bigger than NewTung Kee, and the textures of the noodles were slightly different as well. 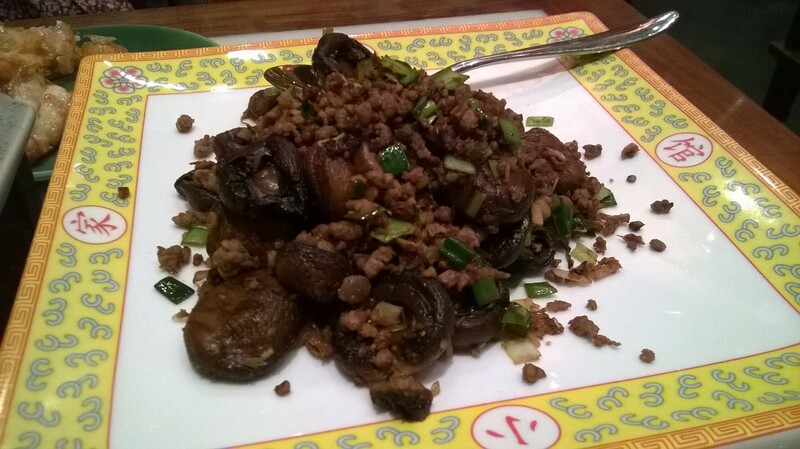 Otherwise, all the meat stuff were pretty similar, same freshness – we were relishing every bit. And best of all, the price for each bowl was $1.25 cheaper than the other place! On the morning that we were departing for LA, my son asked if we could go and have the noodle one more time. It was 8am, so I looked up the 2 places online to see what time they were opened at. 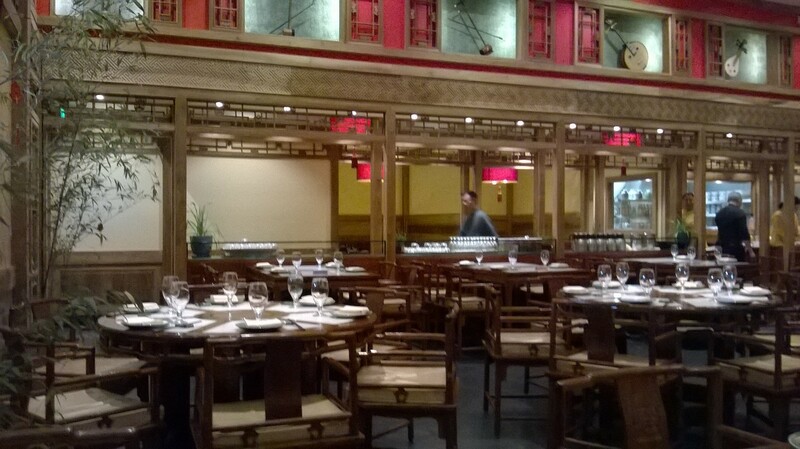 New Tung Kee opens at 8:30am and TK opens 9:00am. So we picked New Tung Kee. My son was savoring every drop of soup as I hurried him out for our long drive home. He seemed so content as he walked back to the car to embark on our journey. 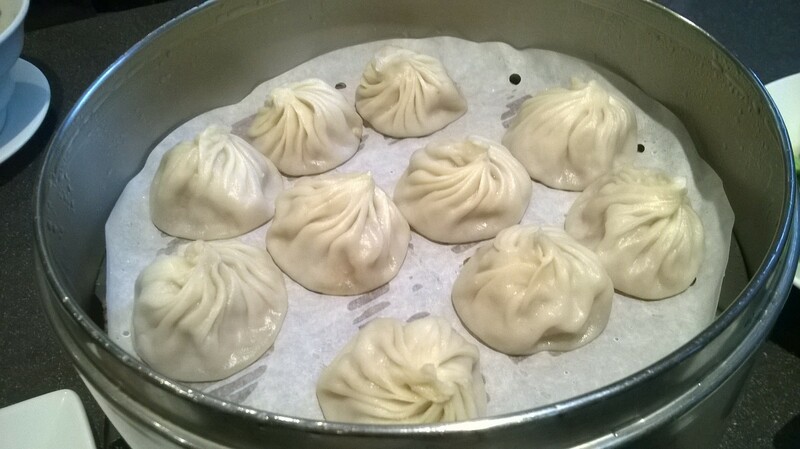 I think that anyone who enjoys Xiao Long Bao (soup dumpling) will already have known about Din Tai Fung. 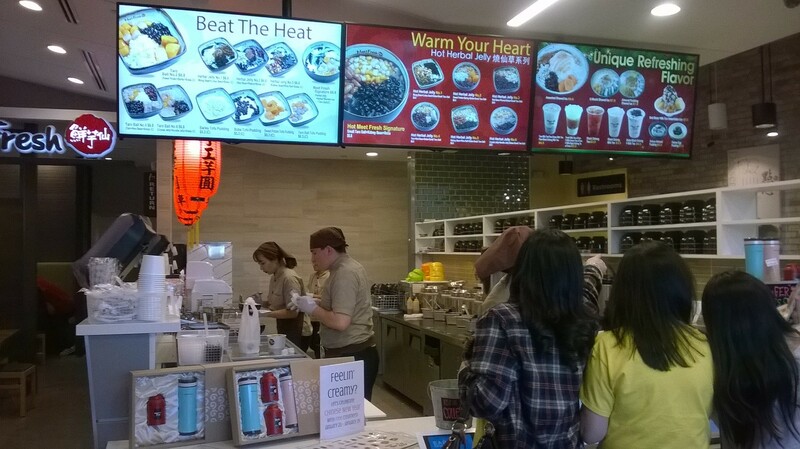 It is one of the most famous place in Los Angeles where one can get a good varieties of soup and steamed dumplings. It must have been quite a few years since I was there last. I have often thought about going many times, but being that the location is a bit far from my home, I have procrastinated. I got there early on a Thursday morning, before noon. I was seated right away as the place was filling up quickly. 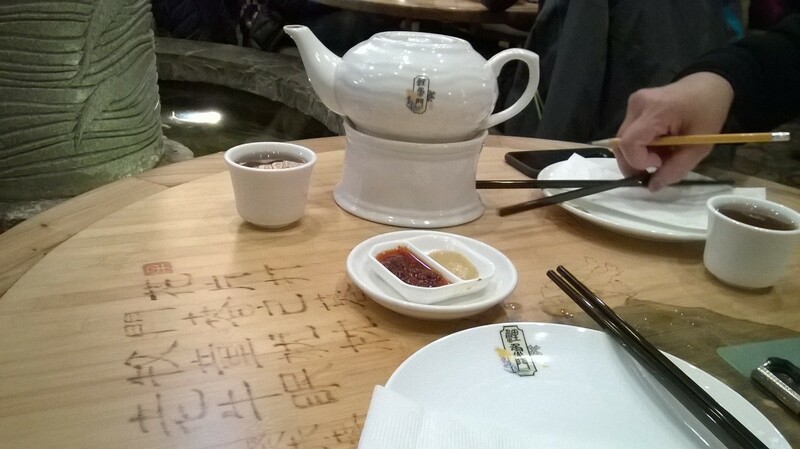 What I like about this place is the fact that not only does the inside feels very comfortable and clean, the chopsticks, the plates, the teapot, cups were all chosen with care which enhanced the overall experience. I especially appreciated the fact that each person gets his/her small dish of julienned ginger to put the vinegar and soy sauce. I was rather hungry, so I might have ordered a bit too much this time around. 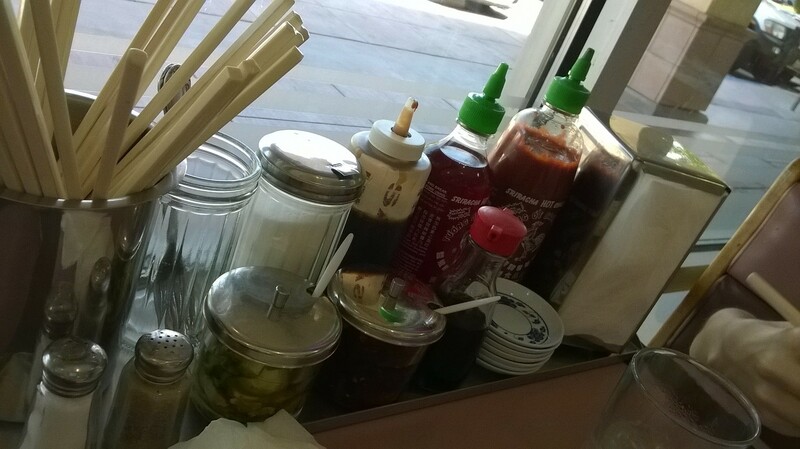 On the order sheet, I checked the Pork Xiao Long Bao, Vegetable Dumpling, Sauteed Bok Choy, Vegetable and Pork Wonton Soup, Sticky Rice Wrap w/Pork, Sauced Noodles w/Pickles Mustard Greens and Shredded Pork, and the Eight-Treasure Sticky Rice. 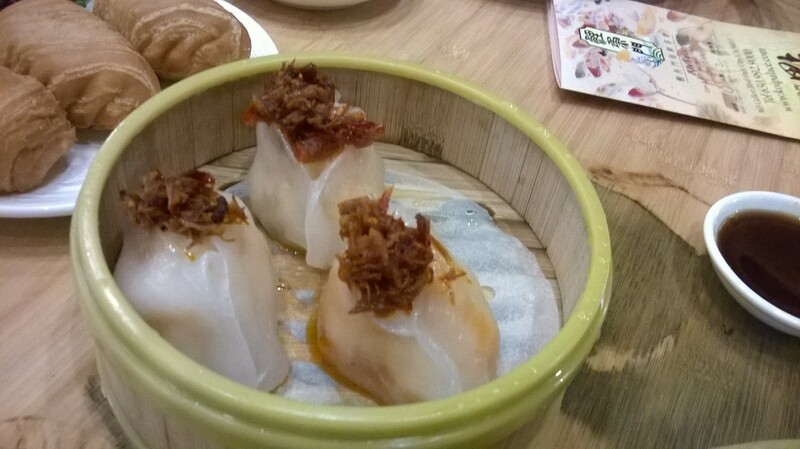 I thought the pork XLB was excellent, better than what I remembered from before. 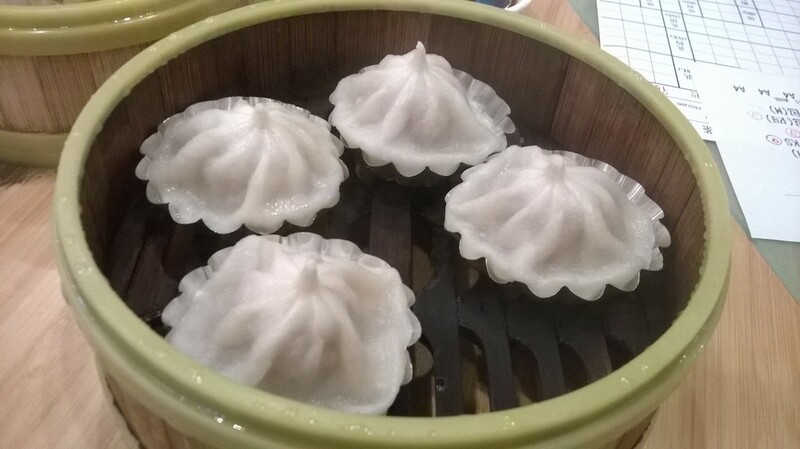 The last time I was there, the skin on the XLB hardened rather quickly, to the point where it became like a thin cardboard by the time I put it into my mouth. 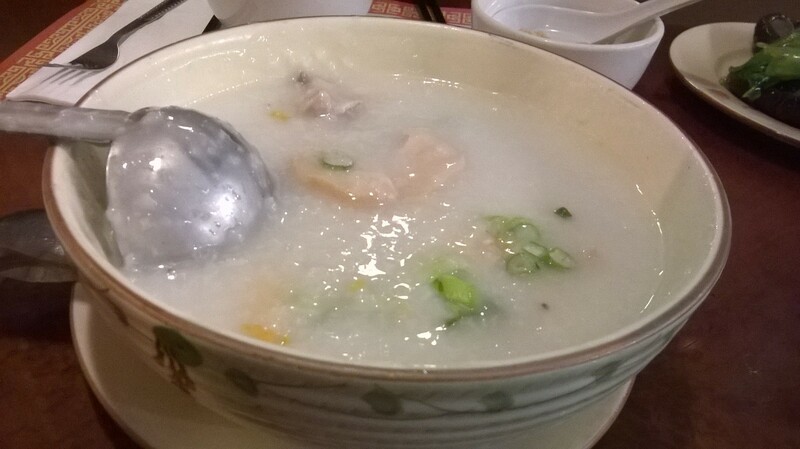 The skin stayed soft and delicate this time, with the hot soup squirting out as I bit into it. 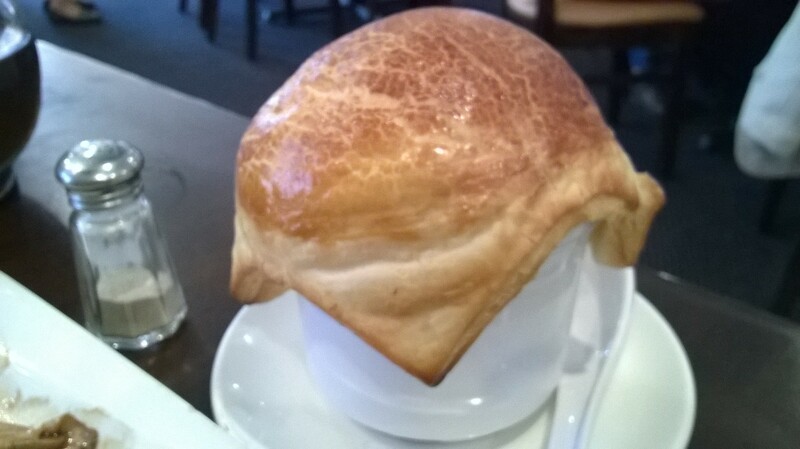 I must say that this XLB was probably the best I had for quite a while. 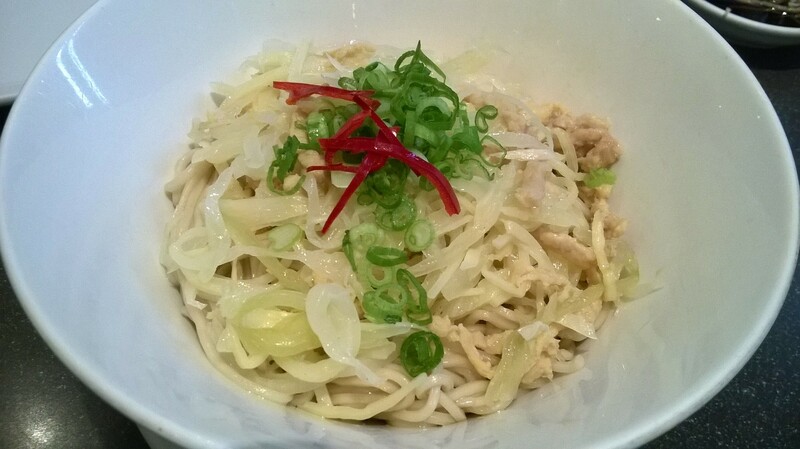 The flavor of the noodle was very light and refined. My friend and I both thought it was superb. 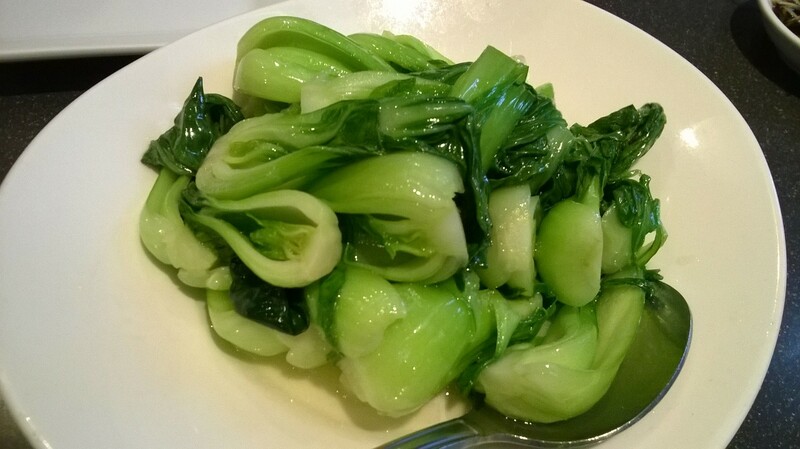 The sauteed bok choy was done perfectly, still a little crunchy but not hard. 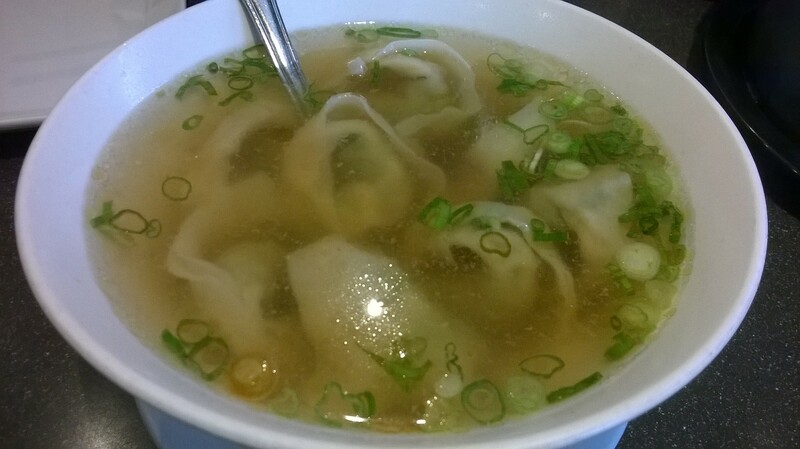 The wonton was fine, but not special in any way. The steamed veg/pork dumpling was my least favorite of the day, lacking in flavor, and with the filling being a bit hard. My friend is not into sticky rice too much, so I was able to blissfully enjoy the whole sticky rice with pork all by myself. Even though it was not too big, but by the time I was finished with it, I was feeling really full. 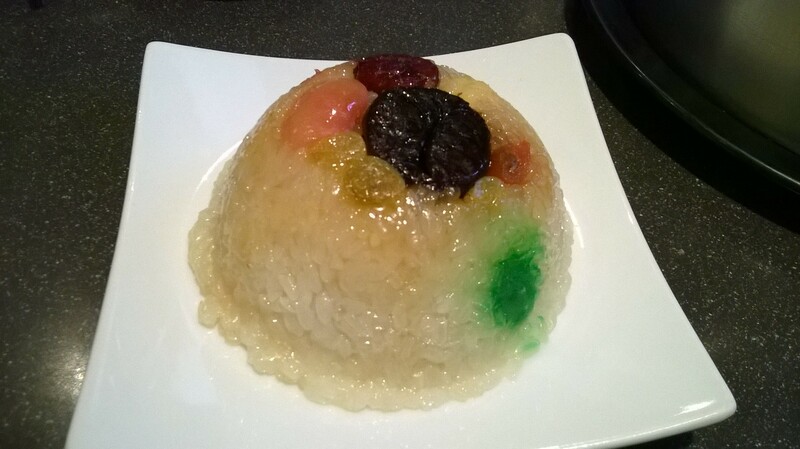 However, as full as I was, I still managed to finished one of my favorite dessert all by myself – the Eight Treasure Sticky Rice. 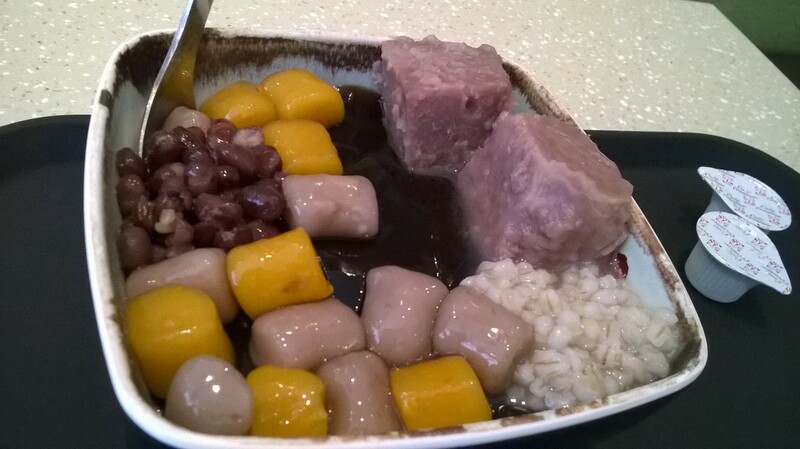 The dessert came out steaming hot, with treasures such as dried plum, raisins, lotus seed, etc. on top of the very soft sticky rice. It was a totally satisfying and sweet treat. 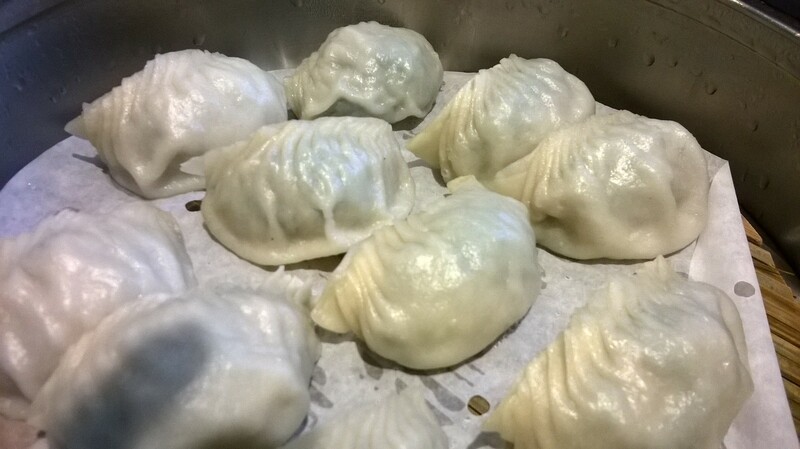 Though I was beyond stuffed for the whole day, and did not even have dinner that evening, I was still reminiscing about the wonderful XLB, and thinking about when to go back for more.